After a long break in t-shirt availability, few weeks ago FrostWire has released a new t-shirt design. The t-shirts are currently available in the FrostWire store and come with 10 extra stickers and free worldwide shipping. But that’s not the whole story! 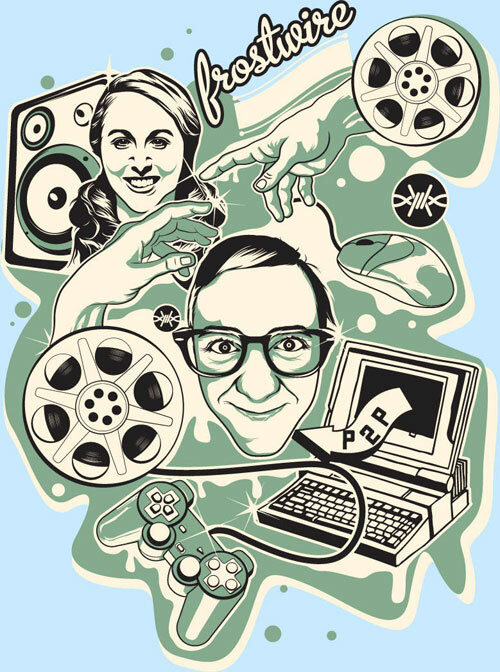 With the spirit of open source, sharing and collaboration, the FrostWire team wanted everybody to be able to share the image, print their own T-shirt or do whatever else they would like to do with it, so they licensed it under a Creative Commons license. The image is licensed under Creative Commons Attribution-No Derivatives License, which means you can share the image, reprint it, etc – even for commercial purposes – as long as you attribute FrostWire to it and don’t alter the design. Plus, to allow you to do whatever your imagination tells you to, we’ve linked a vector file to the download link above, so scaling & resolution is not an issue. If you would like to be able to download other formats/sizes, let us know in the comments section below, and we will do our best to provide you with a download link. If you happen to reuse the image, for any purpose, please make sure to send us a picture, a link, whatever it might be to kademlia [!at!] frostwire.com – we would love to see where opening the licensing gates will take your creativity. 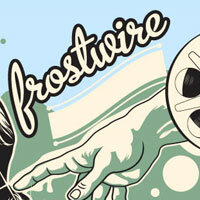 2010 FrostWire T-Shirt Design by FrostWire is licensed under a Creative Commons Attribution-No Derivative Works 3.0 United States License. Permissions beyond the scope of this license may be available at contact@frostwire.com. These shirts are cool, but why do they only come in 3 sizes. I’m 6-4 230lbs!! The larges size sold here would fit me like a belly shirt!! Come on guys get some real men sizes!